In today's world, most technology users need a data shredding utility that easily erases and wipes data on any iPhone, iPad, or iPod touch. Anyone can simply connect their iOS device to their Mac or Windows computer, and efficiently erase and overwrite all data from the iOS device. Data Shredder for iOS 2017 uses data shredding techniques that go beyond international standards set by state and military organizations for secure data deletion. Data Shredder's data erasing algorithms have been analyzed by government authorities and independent security organizations to ensure the app does exactly as advertised, destroy all personal data on the device beyond any hope of recovery. When a user deletes personal files such as photos from their device, they may think they're gone for good. The truth is, they can be recovered using any one of a number of utilities for macOS or Windows. Those files aren't really gone until that storage space is overwritten using secure deletion algorithms ... However, in just three simple steps, Data Shredder for iOS can securely erase the free space using patented security standards, making it impossible to recover any deleted data. Data Shredder for iOS 2017 is available in two versions, the Professional Edition offers 11 different data shredding methods, completely wiping all free space and overwriting the storage area, to completely shred all of the stored data. 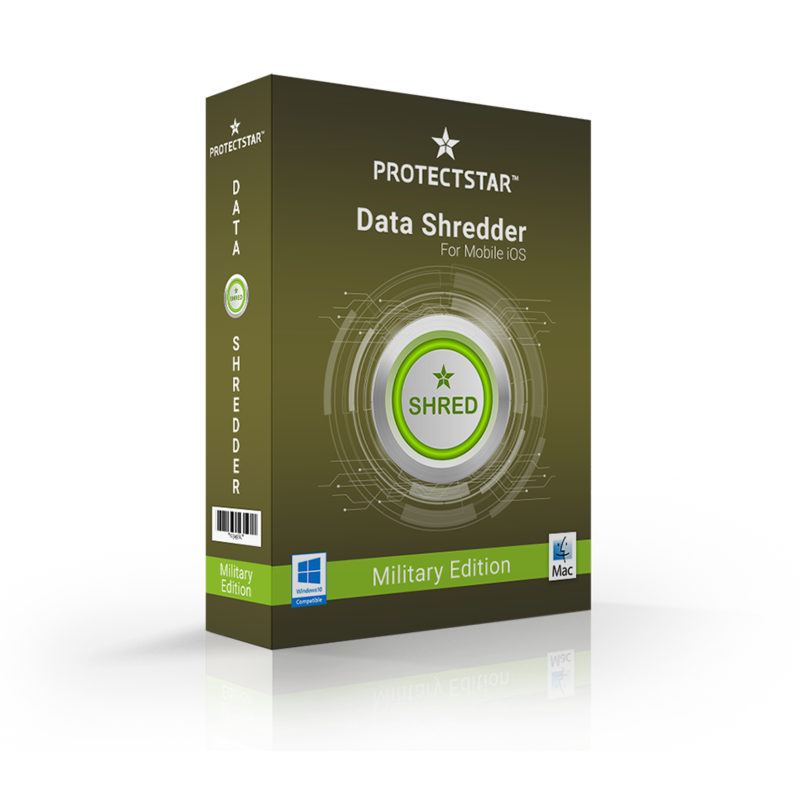 Data Shredder Military Edition offers 18 erasing algorithms in total, while also offering an integrated secure file explorer. Data Shredder for iOS Professional edition uses certified deletion algorithms, including: DoD 5220.22-M ECE, Peter Gutmann, DoD 5220.22-M, HMG Infosec No.5, US Army AR380-19 and more. The Data Shredder for iOS Military Edition uses those same shredding algorithms, plus makes use of enhanced military deletion methods like NATO standard, US Navy NAVSO P-5239-26 (MFM & RLL), USAF AFSSI-5020 and Canadian CSEC ITSG-06. "Your iOS device contains all the information about your personal life," continues Andy Hafner, security expert at ProtectStar Inc. "Files containing notes, passwords, address book, photos, videos, calendars and more. By using Data Shredder for iOS, anyone can ensure their personal information remains completely inaccessible." Data Shredder for iOS 2017 Professional Edition is just $29.90 USD (or an equivalent amount in other currencies) and is available through the ProtectStar website. Data Shredder for iOS 2017 Military Edition is just $49.90 USD. Miami, Florida - Founded in 2004 by Chris Bohn, Miami, Florida-based ProtectStar Inc. was established with the single intent of offering innovative security solutions for individuals and corporations alike. The company offers a number of security-enhancing solutions for Mac, iOS, Android, and Windows users. The company currently serves over 1,000,000 satisfied customers worldwide. All Material and Software (C) Copyright 2017 ProtectStar Inc. All Rights Reserved. Apple, the Apple logo, Macintosh, Mac OS X, and macOS are registered trademarks of Apple Inc. in the U.S. and/or other countries. Other trademarks and registered trademarks may be the property of their respective owners. Anyone who uses a cell phone is bleeding data at an alarming rate... please keep yourself secure!